The economic impact of disasters is well known; however, the link between financial loss and behavioral health problems is unknown. Participants included 198 adults of ages 21 to 82, living within 10 miles of the Gulf Coast during the Deepwater Horizon Oil Spill and were involved in the fishing, harvesting, seafood processing, or service/tourism industries. The functional impact of financial resource loss at 2.5 years post spill was measured using the 26-item Financial Life Events Checklist (FLEC). Individuals responded to financial distress by reducing social events and utility bills and changing food-shopping habits. The FLEC significantly predicted higher drug use (Drug Abuse Screening Test), alcohol use (Alcohol Use Disorders Identification Test), mood problems (Profile of Mood States), and depressive symptoms (Beck Depression Inventory II) (p values ≤ 0.05) 4.5 years after the spill. 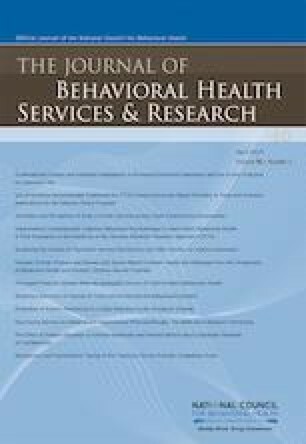 This preliminary study supports the notion that the functional impact of financial loss has a long-term impact on behavioral health after an oil spill. We gratefully acknowledge the support and contributions of Joe Taylor and Lori Switzer of the Franklin’s Promise Coalition. The assistance of Ryan Jollie, Darla Jones, and the Alabama Seafood Association was also greatly appreciated in this project. The contents of this paper are solely the responsibility of the authors and do not necessarily represent the official view of the NIEHS. Support for this project comes from the National Institute of Environmental and Health Sciences [5-U19-ES020683]. Bomey N. BP’s Deepwater Horizon Costs Total $62B. USA Today. Available online at http://www.usatoday.com/story/money/2016/07/14/bp-deepwater-horizon-costs/87087056/. Accessed on December 21, 2016. Bisson JI, Lewis C. Systematic Review of Psychological First Aid: Commissioned by the World Health Organization. ResearchGate. Available online at https://www.researchgate.net/profile/Catrin_Lewis2/publication/265069490_Systematic_Review_of_Psychological_First_Aid/links/5450d15f0cf24e8f7375a73c/Systematic-Review-of-Psychological-First-Aid.pdf. Accessed on December 21, 2016.